Hope everyone is celebrating Live Earth and doing their bit for the environment. 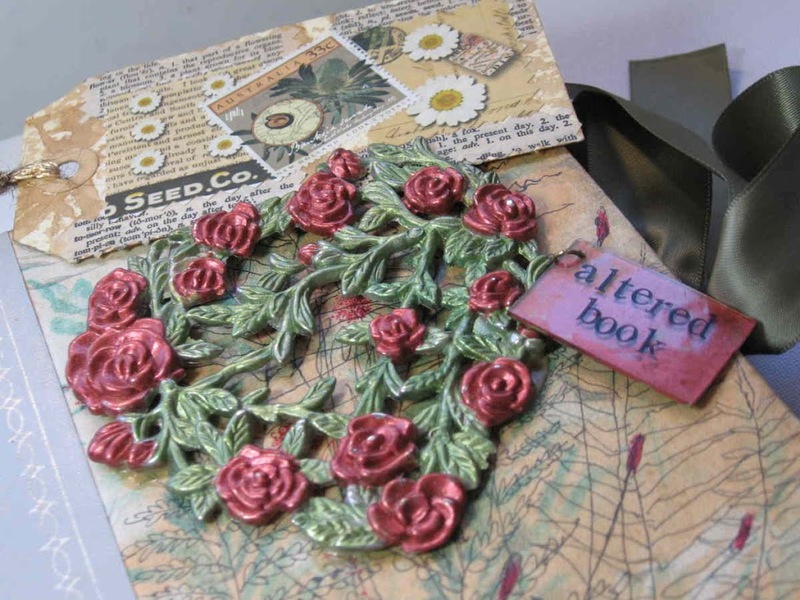 You know my favourite tip would be to recycle your books into altered books, this is a picture of one that I especially like. Pretty project! I’d love to see more. Looks like a beautiful alter book. Would love to see more. 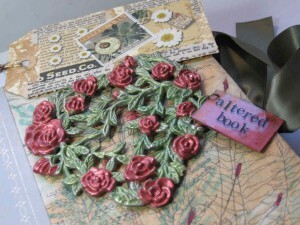 Great quote and the altered book is really pretty! So gorgeous!!! You are so good with this look! Awesome! Thanks for your comments folks.<BR/><BR/>The metal piece was the lid off an old potpourri bowl. <BR/><BR/>The book and metal ‘finding’ were sitting near each other on a garage sale table and seemed to belong together, dab of paint and a bit of glue for a perfect fit.